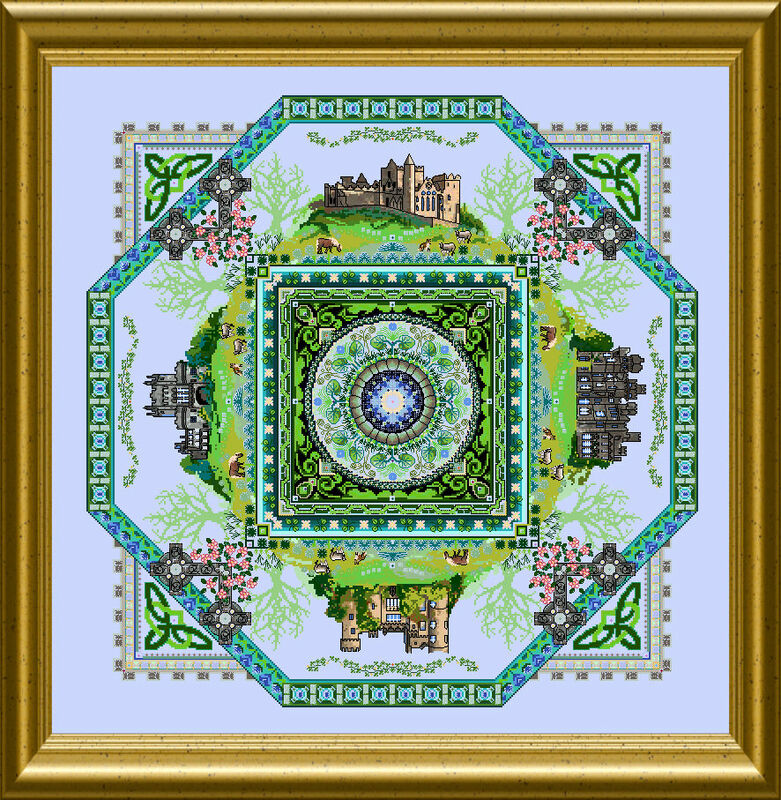 This Mandala celebrates the Irish heritage, landscape and castles – lots of green meadows and bushes, livestock in “over-one” and immense detail. 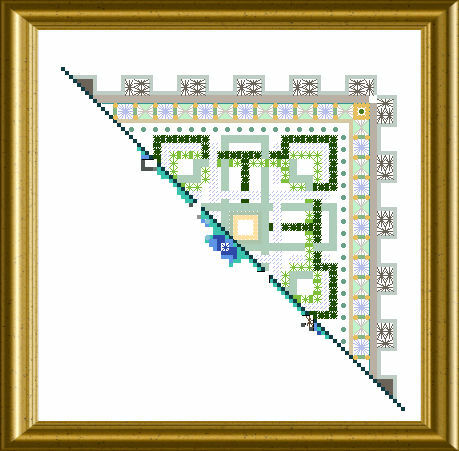 Just look at the wishing well in the center ! It sparkles abundantly with crystals and beads. You find Celtic Crosses as well as Roses of Tralee, The castles (clockwise) of Rock of Cashel, Ashford Castle, Malahide Castle and Kilkenny Castle. 2nd corner to choose your favorite one ! Many Special Stitches will make this piece dimensional, different threads of cotton and silk are used together with a basket full of beads and crystals. 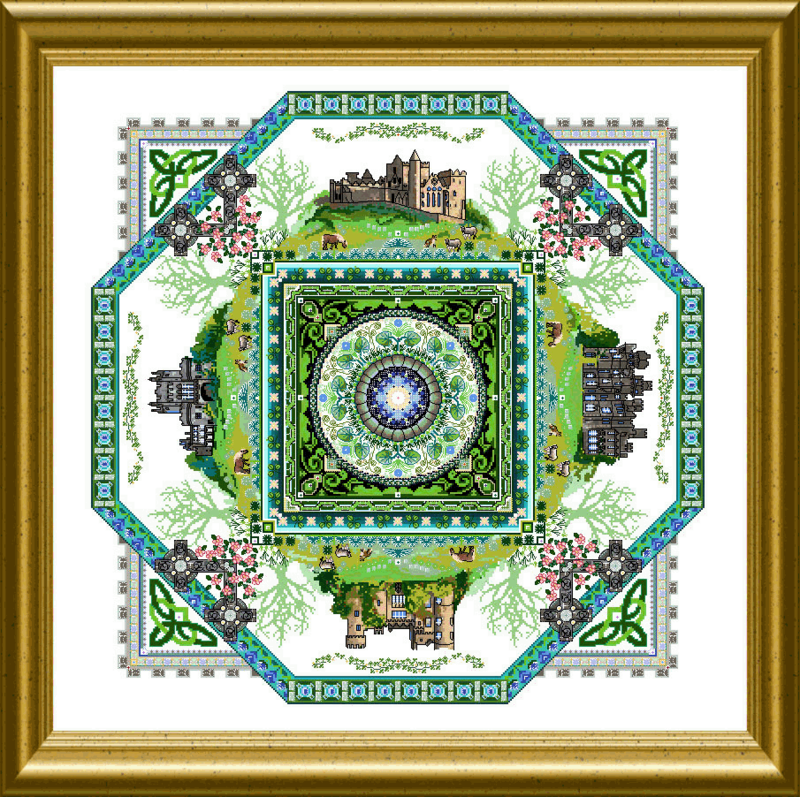 The overall size of the mere design is 347 x 347 stitches. I recommend a 14/28 count fabric due to the parts over-one and the beading in the very center. With last name of my kids is Flanigan I have to get this. Absolutely love it. I wish I had time to do it! Pretty, Pretty, Pretty. What else is new?